This is an MKGPS receiver with u-blox LEA6S GPS module and a passive antenna. 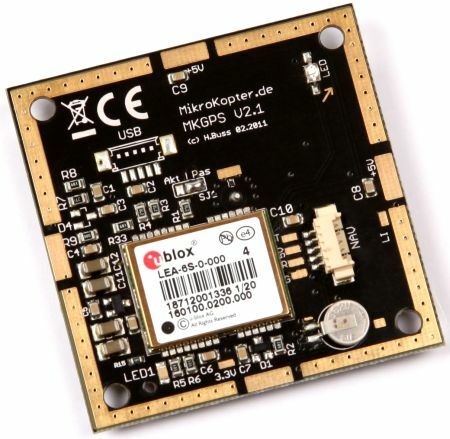 Alternatively, the module can also be operated with an active GPS antenna. The MK GPS is assambled and ready to use. The board is tested and pre-programmed for use with the NaviCtrl board. Please do not touch the antenna with your fingers because of ESD. This could destroy the GPS modul.